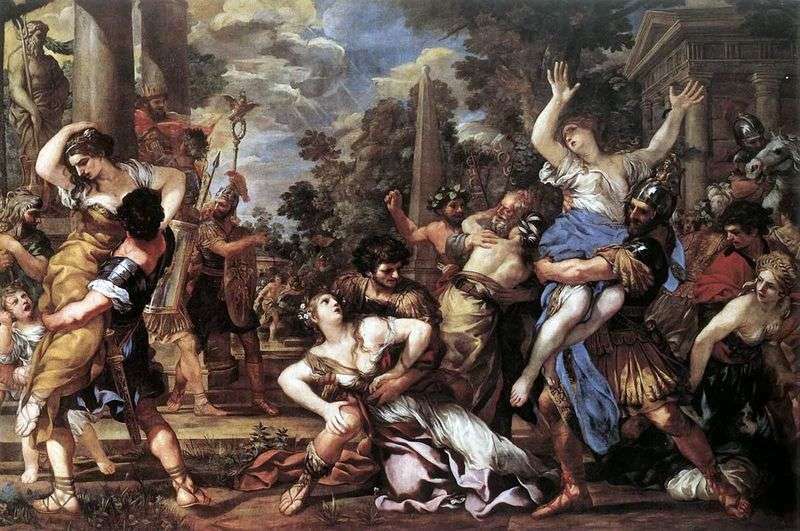 The canvas on the mythological plot “Abduction of Sabine women” was written by the order of another patron of the artist – Roman patron Sacchetti. A classicistically well-thought-out composition combines it with a turbulent, theatricalized expression. Frantic turns of figures, perhaps, are borrowed from the works of Giovanni Lorenzo Bernini, with whom the artist collaborated and whose talent was highly appreciated. Description and meaning of the painting The abduction of Sabine women by Pietro da Cortona.